This Nike Dunk for kids is called the Pikachu Dunk in Asia for its resemblance to the popular Pokemon character, but fans in the U.S. have dubbed it the Spongebob edition after the yellow cartoon sponge with brown pants. Regardless of the name, your child is sure to love the combination of yellow, brown, and white patent leathers. Introducing the Cavendish - a shoe with all the same attitude of the 1461, with a new style. The original 3-eye essential DNA remains, like yellow stitching, grooved sides, and heel loop. But the Cavendish is an evolution, with a modern, sleek silhouette - and without a third of the weight. And just like that, a new icon of rebellious self-expression is born. The Cavendish 3-eye unisex shoe is made with a lightweight, Phylon midsole, and a slimline rubber outsole with good abrasion and slip resistance. The unisex shoe contains a wicking SoftWair Technology Insole, keeping the foot dry and providing maximum comfort. The Cavendish is made with Temperley Leather, a lightweight, full-grain leather, with a soft feel. 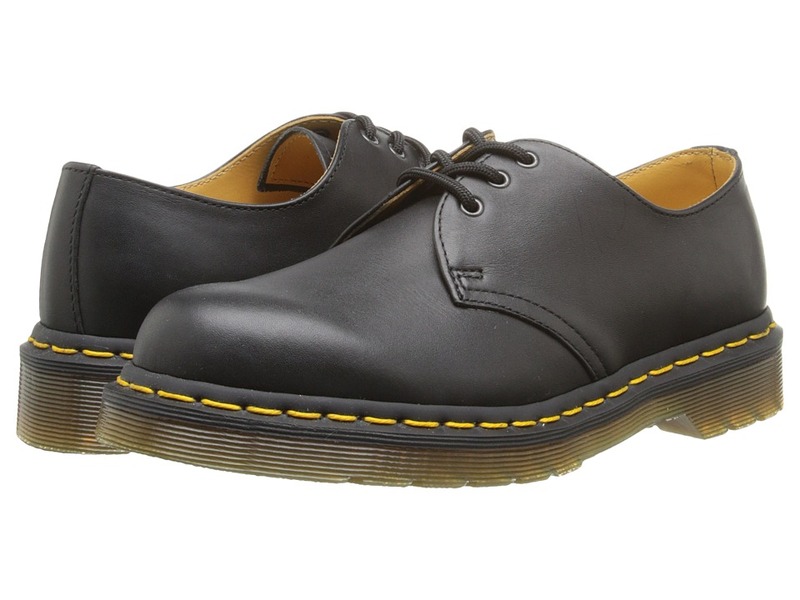 Introducing an iconic Dr. Martens style for the new generation - The Newton. It has got all the same attitude of the 1460 but with a new style. 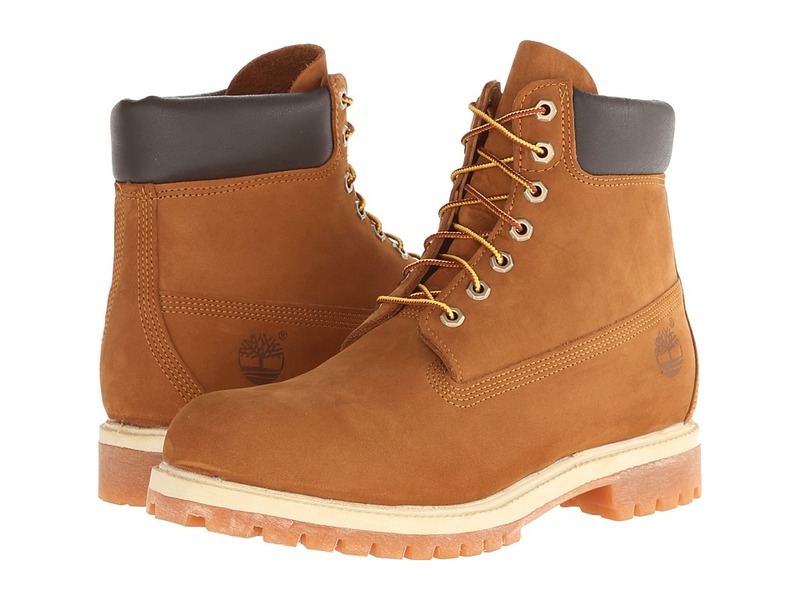 The original 8-eye boot essential DNA remains, like yellow stitching, grooved sides, and heel loop. But the Newton is an evolution, with a modern, sleek silhouette and without a third of the weight. And just like that, a new icon of rebellious self-expression is born. The Newtons 8-eye unisex boot is made with a lightweight, Phylon midsole, and a slimline rubber outsole with good abrasion and slip resistance. The unisex boot contains a wicking SoftWair Technology Insole, keeping the foot dry and providing maximum comfort. The Newton is made with Temperley Leather, a lightweight, full-grain leather, with a soft feel. 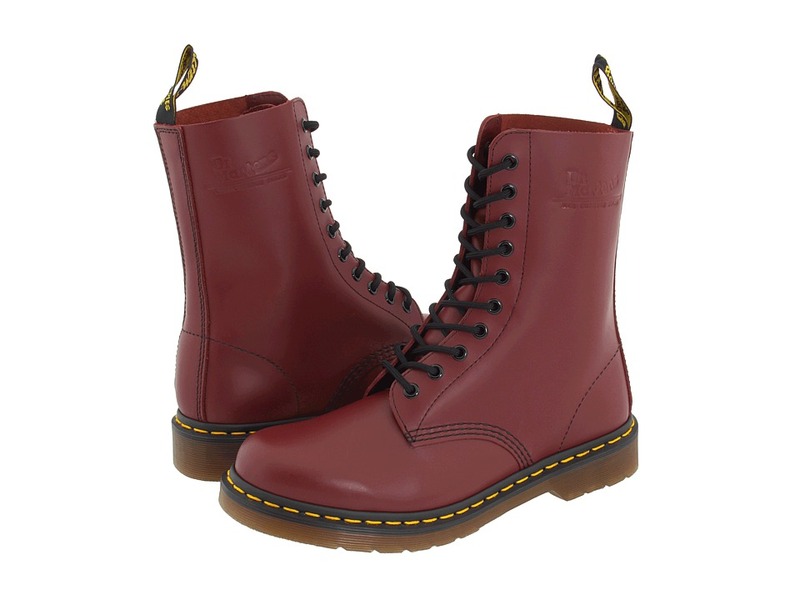 This is DM~s classic 3 eye shoe. 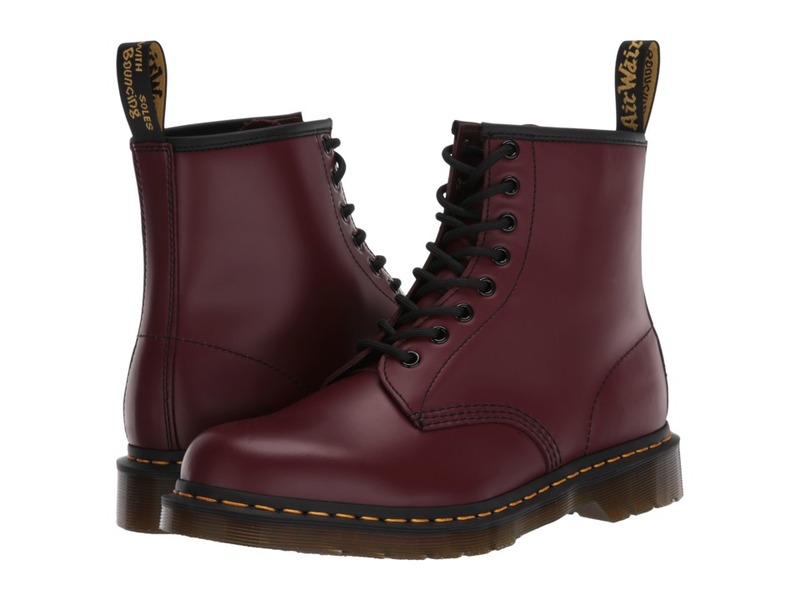 The second style that Dr. Martens made, the unisex shoe was crafted for industry and made rebellious by generations of non-conformists. 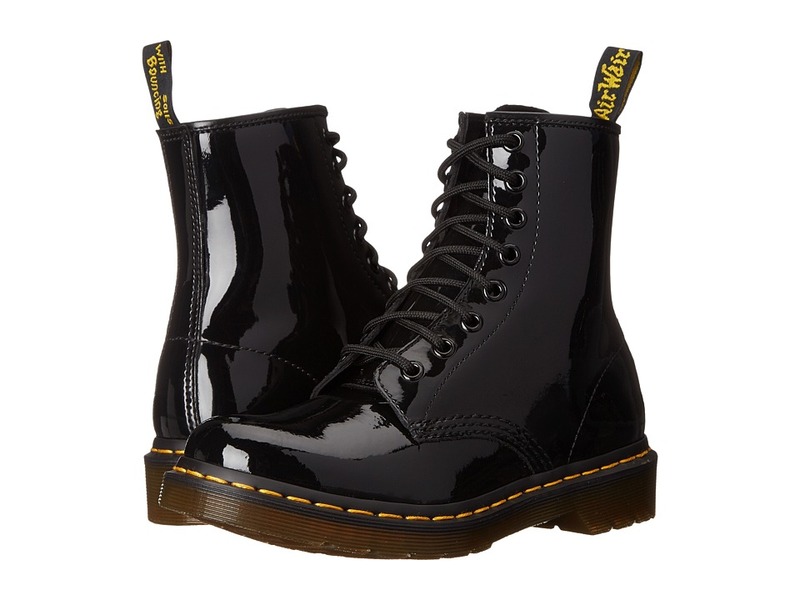 The 1461 is crafted with the same Doc~s DNA as its 8-eye counterpart, like grooved edges and yellow stitching, and is made with Orleans, a rich, waxy leather. It~s built on the iconic, comfortable air-cushioned sole, that~s oil and fat resistant, with good abrasion and slip resistance. Best of all, the sole is secured using one of the finest construction methods available: the Goodyear Welt. They~ll be the coolest kid on the playground in this mini patent leather version of the 1460, in a chill shade of lavender with a side ankle zip for easy access. 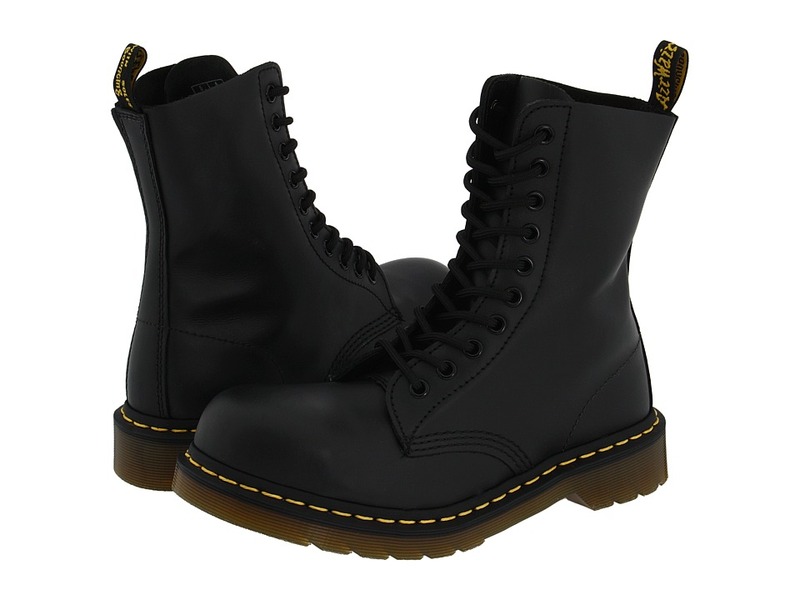 The boot still comes with all the classic Doc~s DNA though, like grooved edges, yellow stitching and scripted heel-loop.